You're about to head home from a vacation, but you want to pick up a little something for your friends before you do. What gifts will make them smile? What will show them that they were on your mind even while you were apart? Here are just a few ideas for fun and occasionally thoughtful gifts. "My friends went to NYC and all I got was this lousy t-shirt." It's a bit cliche, but it's also a classic vacation gift, and your friend is sure to see the humor in it. This is especially true if they've never actually received a lousy vacation t-shirt before. They might exclaim, "Oh, I've always wanted one of these!" Everyone loves a present that you can eat, and if you've gone somewhere exotic where the menus are completely different from back home, your friends will probably love the chance to experience something new. The easiest thing to get through customs is packaged snacks, but you can also check or ship alcohol or novelty foods. Jewelry can be hit or miss since you have to make a guess about what the person would actually wear, but you can get around this hurdle by buying them something cool, unique or deliberately ostentatious. For example, they might not actually wear a shark tooth necklace around town, but they'll still be wowed when they open it. This is a nice gift for people who enjoy art and culture. 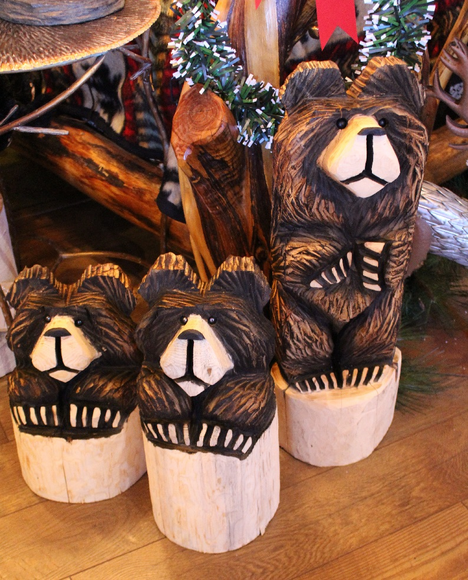 If you've traveled to, say, a rustic mountain lodge full of good old-fashioned country charm, you can buy them an eagle or bear carving that encapsulates the spirit of the destination. Your friend will get to enjoy a little taste of the place where you've been. If all else fails, get them some notebooks, calendars, key chains or bottle openers with the name of your destination on them. Airports are full of gifts like these, so you'll have your pick of knick-knacks. Just be sure to buy your friend something that they'll actually use! These are just a few vacation gifts that you can give to your friends. At the end of the day, it's the thought that counts, so don't stress too much over your choice in souvenirs. As long as you buy something with the sincere intention of making them smile, you should get your wish.